The Doomsday Clock is a symbolic warning about how close the world stands to “midnight,” or global catastrophe. Over the years, the clock has inched closer to midnight as turmoil around the world has increased at an alarming rate. To many, it seems that significant, foreboding events are at hand. The Bible tells us that “in the last days perilous times shall come” (2 Timothy 3:1). Jesus prophesied that as the end times draw near, “nation shall rise against nation, and kingdom against kingdom: and there shall be famines, and pestilences, and earthquakes, in divers places” (Matthew 24:7). The events we see in the news every day indicate that the greatest event of all time is soon to take place. Jesus is coming soon! 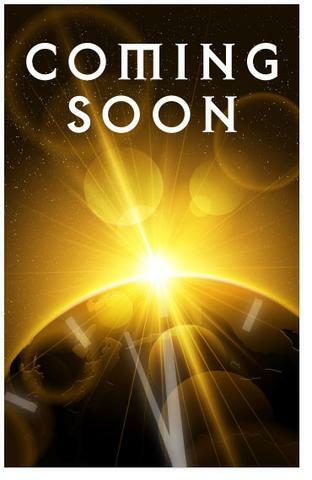 At any moment, we could witness the return of the Lord Jesus Christ to this world. He has been here before. He was born as a baby and lived a perfect, sinless life of love and goodness—a life never before lived or known among men. Men rewarded Him for it by crucifying Him and hanging Him between two criminals. Then, three days after His death, He triumphantly rose from the dead. After encouraging His followers, Jesus ascended to heaven. As His disciples watched, an angel announced: “Jesus, which is taken up from you into heaven, shall so come in like manner” (Acts 1:11). First, He will descend from heaven to meet every true believer. They “shall be caught up together … in the clouds, to meet the Lord in the air: and so shall we ever be with the Lord” (1 Thessalonians 4:17). Secondly, Christ will return to the earth itself—in power, judgment, and glory—accompanied by the hosts of heaven. “Behold, He cometh with clouds … and all kindreds of the earth shall wail because of Him” (Revelation 1:7). If you are not a believer in Jesus Christ, you will be left behind to face the terrible judgments of God upon this Christ-rejecting world. The effect will be terrible, as the Bible foretells that people from every walk of life will cry out “to the mountains and rocks, Fall on us, and hide us from … the wrath of the Lamb: for the great day of His wrath is come; and who shall be able to stand?” (Revelation 6:16-17). The great and small, rich and poor, weak and powerful—all who have not bowed their knees to Jesus the Savior now—will bow them to Jesus the Judge at the final Great White Throne judgment. “And whosoever was not found written in the book of life was cast into the lake of fire” (Revelation 20:15). 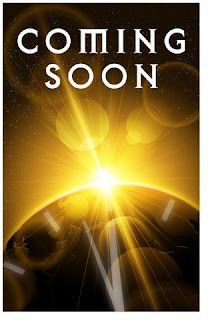 Dear reader, are you ready for the coming of Jesus Christ? Have you turned to God in repentance, and are you washed from your sins through faith in Jesus Christ? Or are you still rejecting Him and sealing your doom? Now is the time to recognize your need of Him and put your trust in the sinless Son of God who died for your sins and rose again to be your Savior. Bow the knee to Jesus today. Tomorrow may be too late. “Flee from the wrath to come” (Matthew 3:7) and enjoy the presence of God for all eternity. Your opportunity is now. “Now is the accepted time; behold, now is the day of salvation” (2 Corinthians 6:2). “He that believeth on the Son hath everlasting life: and he that believeth not the Son shall not see life;but the wrath of God abideth on him” (John 3:36).